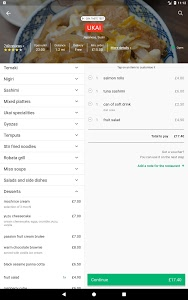 With our app you can browse restaurant menus, read customer reviews, and order a delivery of your favourite takeaway, in just a few taps. 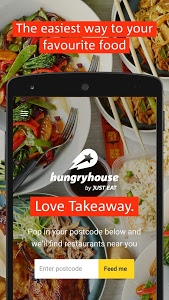 The hungryhouse app is bursting with top-notch takeaways for you to choose from, with everything from Indian to Chinese, and Pizza to Sushi on the menu. So whether you’re craving a curry or feeling ravenous for rice n’ peas, we’ve got 10,000 takeaways on our app waiting to deliver your favourite food to you. 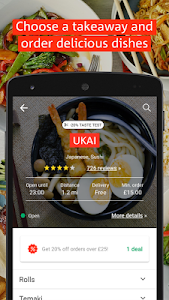 Our app takes the hassle out of ordering takeaway. 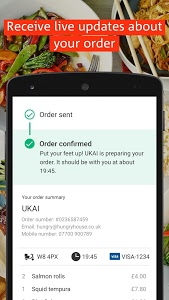 No longer will you be stuck looking for paper menus down the back of the sofa, because now you can tap your phone and order in seconds. You even can pay for your food via the app too, either with PayPal or by card. But if cash is more your thing then you can still pay with cash on delivery. 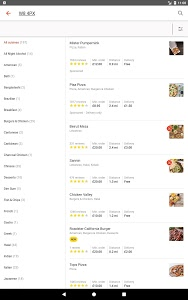 With the hungryhouse.co.uk app, finding that perfect little tikka masala or a juicy burrito couldn’t be easier. 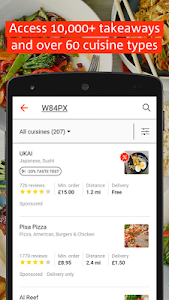 Just pop in your postcode to see which takeaway restaurants are near you, then use our built-in filters to personalise our directory of restaurants via cuisine, cost, whether they offer collection, and even whether they have special discounts and deals. 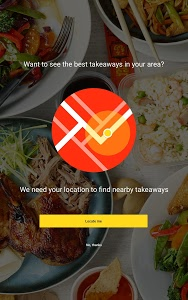 And remember, if you’re not sure which Indian or Chinese is right for you then don’t panic, because with the app you can access millions of reviews from other customers to help you choose the right takeaway for you. 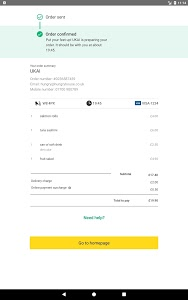 What’s waiting for you when you download the hungryhouse app? 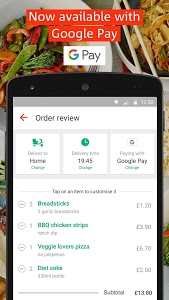 º NEW: Now available with Google Pay! º Pay using PayPal, card or cash on delivery. 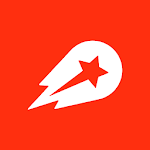 º Burger King now delivers with hungryhouse! Order online at Burger King with the hungryhouse app (only available in some locations). º Full menus from over 11,000 takeaways across the UK. Everything from Pizza in Manchester to Curry in Birmingham, and from Chinese in London to burgers in Glasgow, we've got you covered! º Millions of customer reviews. 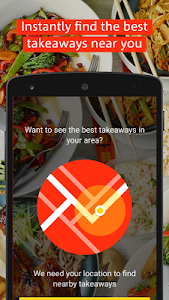 º Special offers and deals at thousands of takeaways - these takeaways are highlighted on the app. º Have access to a member-only dashboard, with local recommendations based on your area. Need help with your order? Get in touch with our Customer Care team. Have feedback on the latest version? Give us a shout at [email protected] Cheers! Similar to "hungryhouse Takeaway Delivery"